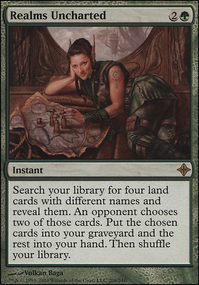 Can I target a land that's in a graveyard with Thespian's Stage? Can I sacrifice my artifact in response to Confusion in the Ranks trigger? Kjartan okay, I see. What's "that" artifact? Expedition Map ? Serum Visions can be treated as a land because drawing it instead of a land, will most likely lead it to become one, through its own ability (if you need one). You play it, draw one, scry two, and there "should" be the land you were missing amongst those. Bloom Tender is indeed fragile, that's the weakness of mana dorks but I use him for ramp/fixing since it can reliably hit 2+ mana without much effort. Until I started to use proxies I ran Sylvan Caryatid - 0/3 body with hexproof might be good enough for you then. Verix might be enough if it's kicked but I'm still not convinced since applying the same logic Broodmate Dragon is 3 mana for 2 bodies - too much setup IMHO, I'd prefer my Dragons to work their abilites on their own and for cheap. 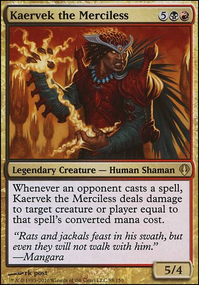 Maybe I'll try it later but for now I feel like I have too much 3 CMC spells already. 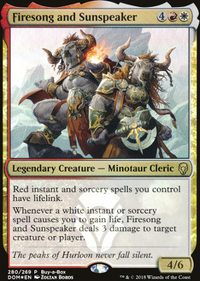 Hellkite Tyrant is only one card and you don't have guaranted draw of it besides tutors (which probably should be more in our decklists but I don't have idea what should be cut). Also things like Trinisphere should die because no matter who controls it, they still cripple us. And being targeted removal with option of blowout is flexible enough for me. About Mana Vault I might be biased a little since it lead to some explosive early game turns for me, where Urza's Incubator would only durdle me for 3 turns. 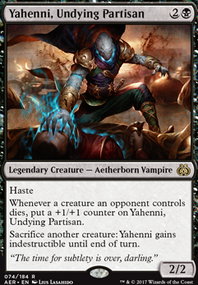 That's true, without ways to untap it that upkeep cost is painful but sometimes I've experienced that much ramp so losing was like nothing. 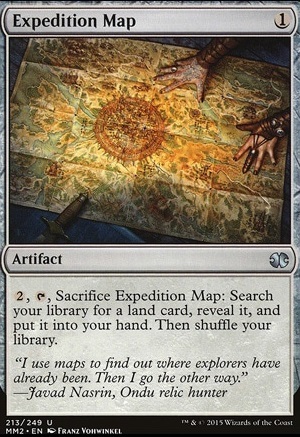 For Expedition Map it's comparison game - is it better to have basic land on board or next land drop being any land you want? For me it's the latter and sometimes it took me out from crappy hands since we need 3 mana at the very least. Updates are welcome and since I upvoted your list I'm already subscribed to any change you post so I'll be notified and more than happy to check out what you've changed.